Charr had been serving a six month suspension for failing a drug test, but the WBA decided not to strip him of his secondary title. 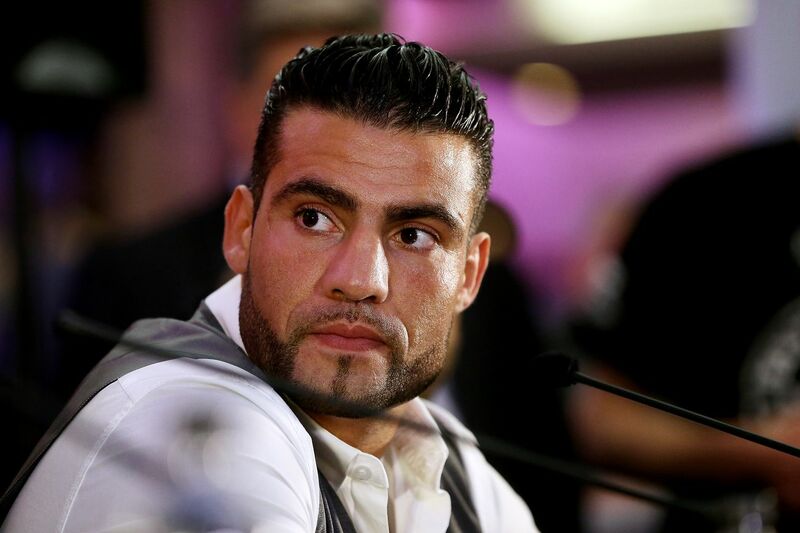 The WBA’s secondary titleholder at heavyweight, Manuel Charr, was hit with a backdated six-month suspension last September when he failed a VADA drug test leading into his mandatory title defense against Fres Oquendo. But Charr wasn’t stripped of his title and has been let loose a little early after his team contested the way his urine samples we handled by VADA. The specific issue with regards to the the handling of Charr’s samples was that he was entitled to have a representative present when his ‘B’ sample was opened, but apparently that didn’t happen, per an ESPN report. The WBA went on to rule that because of the time lapse since the samples were taken and the miscommunication regarding Charr’s ‘B’ sample, they’ve recalled his suspension with several conditions in place. The first condition is that Charr makes his mandatory title defense against Oquendo within the next 60 days. The second is that the winner of that bout must face the winner of another WBA-ordered fight between interim titlist Trevoy Bryan and Jarrell Miller within 120 days of Charr-Oquendo. In the meanwhile, Charr will continue to be randomly tested by VADA, and should he test dirty again, he will be immediately suspended and stripped of his title. Charr (31-4, 17 KOs) has been out of action since late 2017, when he took a decision over Alexander Ustinov, and Oquendo (37-8, 24 KOs) hasn’t fought since mid-2014, but has been owed a shot at heavyweight title for what seems like forever now.